Our white labelled, multi tenant hosted PBX platform gives you all the features you need to offer your new and existing customers an advanced hosted PBX with video and unified communications built in. Rapidly deploy hosted PBX extensions. Simply add end user details, and then deploy any hard or soft phone via an auto-generated provisioning link saving you time and money. Easily browse your list of customers to locate extensions quickly, add call queues, menu systems, fax to email, conference rooms and more all at the click of a button via the dynamic web based portal. Add DDIs and numbers that are automatically provisioned to your clients PBX without any fuss. 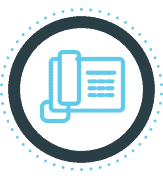 If you’re looking for an enterprise grade state of the art hosted PBX offering for your customers, for a fixed monthly fee without large Cap Ex expenditure, hosted on one of the most resilient IP comms networks in the UK then look no further. Our platform provides both automated and event-driven recordings. Event can be triggered by dialling a code during the phone conversation or by a UnifiedAPI request. On highly regulated environments, call recordings can be started unconditionally and also with an encryption option available. This feature is particularly useful for call centers, but also for other types of organizations, i.e. financial or insurance agencies. With call screening, such companies are able to filter calls by destination, while complying with local regulations and the Telephone Preference Service or TPS. Full professional conference facilities allow you to collaborate seamlessly with customers and staff. Set up or schedule pre-defined conference rooms, or initiate 3 way conferencing form the headset or soft phone. The REST-based UnifiedAPI provides consistent access to call resources and operations in VoipNow SPE. It allows you to control telephony-related features such as real-time management of phone calls, collecting information on history calls etc. Voicemail can be personalised, whilst messages left by callers may be automatically dispatched by email. Users can check them either by dialling in over the phone or logging into the web management interface. Distribute calls to agents intelligently using a number of predefined algorithms, enforce SLA’s and view detailed statistics on agents performance and call statistics. Allow agents to log in to the queue’s from analogue and IP extensions. Once you have added a user extensions details, name, email address etc, simply select the type of handset you wish to provision and the platform will automatically generate a full provisioning link that simply needs to be copied to the handset for it to be completely provisioned.